The nice people at the publishers have decided that it’s time to redesign the covers for the Medicus series, so we’ll be raising the tone with a little classical sculpture. TABULA RASA has a view of The Weary Hercules – I’m sure that’s exactly how Ruso sees himself at times – clutching the golden apples of the Hesperides. Both of these should be available in the US and Canada in August, and in Britain in October. Previous PostBack to SchoolNext PostBargain! I also read sf, and in that field I think it’s long been the norm for artists not to read the books they illustrate. Sometimes they seem to do a generic all-purpose cover with no idea at all of what the book’s about. Your new covers are dignified and respectable, which is fine if you know what you’re buying. There’s some danger that they could lead casual bookshop browsers to anticipate heavy literature; but I suppose fewer and fewer people these days buy books by casual browsing in bookshops. Hi Jonathan – it’s interesting that you raise the “heavy literature” question because I asked that too – which is why some of the fonts they’ve used are very informal and un-classical. I assume some of the not-reading-the-book problems are down to time and budget, but you’d think whoever commissions the thing would give the artist some kind of a brief, wouldn’t you? Maybe they don’t have time to read the books either! Oh dear, I dislike the new cover intensely, but I’m buying the book for the content. And I find the idea of ‘updating’ covers of any of the older books horrendous. Why not leave well enough alone? I’m glad I own the previous in the series with the previous covers. Oh dear, I’m sorry, Jane! 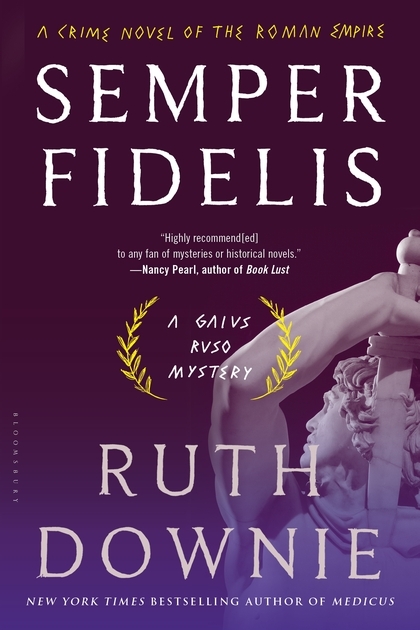 I loved most of the old covers, tho’ I had mixed feelings about “Medicus” – it was originally going to be the beautiful mosaic of dancing girls/gymnasts from Sicily, but apparently that didn’t look sufficiently crime-like. Thanks for being prepared to overlook the new cover style for “Tabula Rasa”. I hope you enjoy the story inside. It does seem a bit odd not to complete the series with the original covers. Brand identity, Amazon searches, shelf appeal and just old-fashioned aesthetics would all seem to have their hands up for a series all to have a unifying suite of covers. Good that they’re all being reissued to march forward (gladii to the fore) along with the new one, though! I’m another fan who loves the old covers and finds them much classier than the new versions. 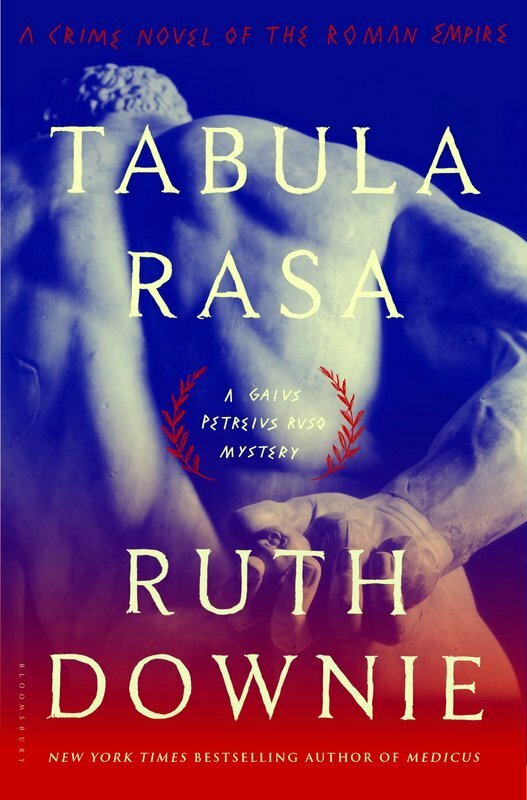 In fact, although I’ve viewed images of the “Tabula Rasa” cover several times, I still can’t make out what I’m seeing… a brawny arm, the top of a curly head, but nothing else makes sense. Am I the only one who finds this image confusing? I thought it looked like Ruso in chains and ready for a flogging. He’s been caught red-handed stealing. I never figured it out either. I thought the other covers, especially Semper Fidelis were really great! Oh dear – hope you like the content better than the cover, Sherry! interesting to read what others have said. i love the older covers, but i can also see the point in the new covers, especially for those among us who like classical sculpture (maybe they will choose ‘the dying gaul’ for ‘persona non gratis…’). perfectly suited to the times, and to the content. the older covers are really quite beautiful, but i am sure that the new ones will grow on us. most wonderful, however, is the fact that ‘Tabula Rasa’ will be released soon. thank you for all your hard work. i don’t understand why it being released sooner here in the states than it is in the UK. apologies…! Thank you! I’m afraid I never understand the business of release dates either, and just trust to the publishers to do what they think works best. I never did either. I’m glad we across the pond can order the earlier from UK or you folks in the UK can order from us.